Truth by Kbaig: Till the end of resistance American success is impossible…! Till the end of resistance American success is impossible…! Less resources, difficult situations, hopelessness; in such circumstances if soldiers of poor or undeveloped counties run away for their lives may be justified (running away from army for a soldier is equivalent to death). But deserter of army from a superpower fully equipped with lethal weapons is a cowardly act. If a soldier avoids service in war theatres, then it is a point of shame for commander of such an army. If the commander himself doesn’t know why he is at war, then he has to end like General Crystal. One month ago commander of allied forces in Afghanistan General McCrystal was dismissed for criticizing Obama establishment in an interview with digest “Rolling Stone”. It is not ordinary incident but sad occurrence for USA, yet unable to provide reason for invading a sovereign state in past nine years. We, Pakistanis, are affected directly by the situation after US invasion of Afghanistan. We are still fighting the so-called war against terrorism. Instead of looking for reasons of pessimism in General Crystal and his realistic analysis of situation in Afghanistan, we started appreciating American discipline and political system which has dismissed an unfit General. Our intelligentsia, instead of counting dead bodies delivered by US Drones, started criticizing military regimes (this could have been postponed for some other time). And by getting emotional they wasted a precious moment at which the international media could have been shown the real situation in Afghanistan which America, Britain and NATO countries are trying to hide. Whether these are centuries ago wars being fought by arrows & swords or the modern war being fought with automated weapons and guided missiles one rule has not changed and it is that occupying army cant be successful till the occupied nation doesn’t ends its resistance. The bad luck of American army is that it can’t be conqueror any where. 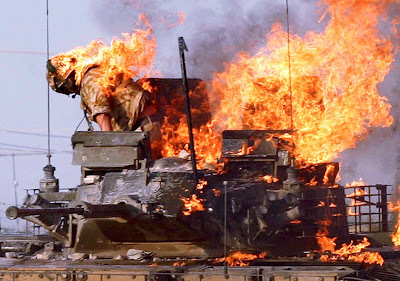 In the veil of liberation, US invaded Iraq and after killing 1.5 million people, it is preparing to run away. Before attacking Kabul US army was assured of its ‘holy’ mission to free Afghans from Taliban and save the whole world from terrorists. After ruthless carpet bombing and aerial attacks, US forces entered Kabul under flowers showered by Afghans dancing at music of drums. American soldiers and media who accompanied them felt themselves as great saviors and heroes. Approximately six months passed in celebrations. 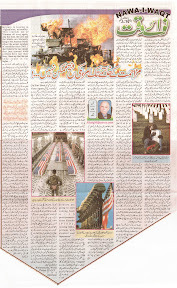 Look at the American newspapers of those times; they pose America as savior and boss of Afghans. After such a feeling America didn’t dared to tell its public openly that they have occupied Afghanistan. However, when afghan nation started resistance, American army came to know that the story told by Pentagon is different from the facts. When corpses of fallen soldiers reached back to America, US cantonments fell short of graveyards. In different areas the parks and football grounds were converted in to graveyards. Media also avoided showing exact numbers of deaths considering the government’s powerlessness over inhospitable afghan mountains (if the exact number of deaths had been told, the Americans would have been forced to quit Afghanistan). Instead of addressing shortcomings, US administration started blaming Pakistan for supporting afghan militants and searched for allies in the region. India had significant presence there by supporting Northern Alliance. It came forward to support USA. Americans accepted that support without taking note of adverse feelings for India in the region. India promoted its agenda and brought the war against terrorism to Pakistani borders. It also benefited Israel through big deals in weapons. US agenda in Afghanistan changed into “proxy war” between India and Pakistan. At one side are USA, India, UK and Israel as allies and on the other hand Pakistan and China stand united. Underhand, Russia and Iran also came to play their part against USA. Look at the role of international media, they no where point out Iran, China and Russia in their programs. They all are playing the game in Iran. The target of criticism is only Pakistan. The main factor of this criticism is India’s friendship with Israel and its influence in international media. Pakistan is facing this unholy alliance very bravely in spite of suffering heavy damages. What benefits has America got? Is this not enough loss that the soldiers of sole “Super Power” are deserting? Yes! And that is not one or two junior officers, but in hundreds. Up till now approximately 250 officers and soldiers had taken asylum in Canada and about 150 are being punished in American jails for being deserters. In spite of lucrative benefits, American youth is hesitant to join US army for fear of service in Afghanistan. The cause is increasing psychological problems among US soldiers. According to Sarah Lazare, an American defense analyst, US army has 18.5% psychologically critically sick and handicapped persons. 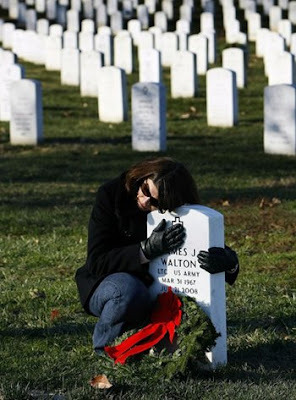 To whom should the widow of that American soldier ask that why and for which purpose her husband gave up his life? In her book titled “The US Military is Exhausted” she writes, “soldiers are coming back to states with Post-Traumatic Stress Disorder (PTSD), missing limbs, problems with alcohol and depression”. Soldiers who fought in Iraq and Afghanistan after retirement have started a movement named as “IVAW” to stop war in Afghanistan. The number of veterans who have joined this organization is 1700 and it in increasing quickly. In a letter to US president the executive director of organization has written against American policy naming it as threat to humanity and hypocritical. US nation and the world are also being deceived. In a similar incident in May, US Colonel Victor Agosto, transferred from Fort Hood to Kabul, refrained from joining Afghanistan and wrote a letter to Central Command that he must be clarified for the moral reason of war in Afghanistan and also why & with whom to fight, What is the enmity of Afghans to America and what threaten USA and American public. Now what answer should Americans give: why they have made it difficult for the Muslims of whole world to live? How can they accept that they have attacked Afghanistan and Iraq by telling lies to the world? What type of revenge is it that has not yet cooled? Some of their own people have faced their conscious and have admitted that neither Iraq had weapons of mass destruction nor the Muslims living in barren mountains of Afghanistan had capability to conduct terrorist attacks against West. However look at the leaders of civilized nations who aren’t feeling shame over the massacre of Muslims. According to the calculations of their own institutes more then 3 million people have been killed for the interests of USA and Britain. What are these interests? Oil and wealth of drugs! If so then soldiers has no way out except to become deserters. Why should they die, why should they become cannon fodder in foreign lands for filling coffers of investors? In this fight, they have no identity, they aren’t heroes of nation, no one is there to cry over them except their relatives. The hiding of corpses wasn’t even done during Vietnam War. 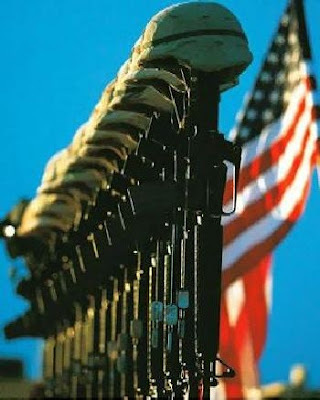 American media is describing 2010 as worst year in Afghan war. Although the number of American and allied forces has been increased by 20%. But without any moral cause or purpose what success can that army achieve (except reckless murders)? And that is the main cause of Americans and allied forces’ failure. With new afghan policy of Obama (which includes sending more troops) defense analysts have claimed that before leaving Afghanistan USA wants to force militants to the talks through increasing military pressure. USA wants to leave Afghanistan respectfully. Militants have launched fresh attacks named as “Alfatah” on US and allied forces before Americans could launch operation against them. 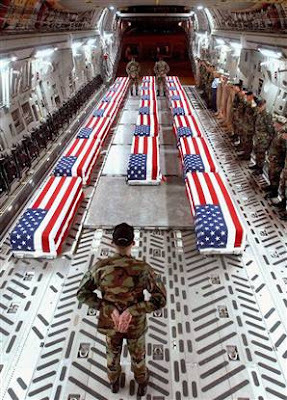 As a result many American soldiers have been killed. Operation against militants has been delayed and occupying forces have been trapped into gaurilla warfare. The occupying forces have no cause while militants are fighting to free their country. When they lose their lives, what higher purpose would they need to fight? This advantage of Afghans have demoralized American and allied forces. General McCrystal could not hide the truth anymore. In the thick of war, dismissal of Commander is the sign of victory for Afghans. Americans are also aware of their losses but before leaving Afghanistan they want to leave as conquerors. The disturbances in Pakistan are due to Americans who want to put Pakistan on fire so that it can have face saving. It has cleared Afghanistan from terrorists but they are now hiding in Pakistan. That is why America sometimes urges Pakistan to launch operation in Northern Waziristan and in Southern Punjab. Moreover attacks over noble and public places are also continuing in an effort to start a situation of internal war and sectarian fighting. During all this chaos, not only America leaves respectfully but also plays a vital role in making Pakistan again a peaceful country. Readers, USA has to leave Afghanistan at any cost. But if we stay united and defeat the terrorists and pass through such a difficult time with patience, then USA will have to go back as a defeated country. But who will bring that spirit of unity in our country?